The parable of the leaven is one of the shortest of Jesus parables but one of the most powerful. It’s diminutive size, just nineteen words in the original Greek, seems to echo it’s message: that God’s Kingdom may seem small, invisible even, but given time it has such power that all around it is transformed. Those who were privileged to observe the events of 25 years ago in Berlin and across Eastern Europe saw an extraordinary transformation unfold before their very eyes. All-powerful regimes crumbled before the irresistible force of individual acts of faith and courage. 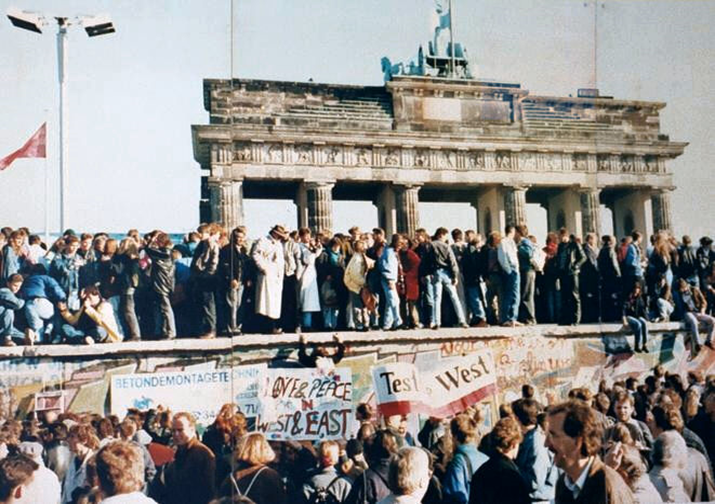 As we approach the 25th Anniversary of the fall of the Berlin Wall on the 9th of November, the editors of Vista wanted to dedicate this issue to the events of that momentous year and its enduring impact on mission, particularly in the East. But to do it justice we felt it best to invite an older brother who was active in mission at the time to serve as guest editor. We are truly grateful to Jeff Fountain who has not only contributed the lead article, but has drawn together most of the content through his network of contacts of those who were eye-witnesses to the transformative power of the yeast in the East! Our prayer is that this issue of Vista encourages you to believe in the transforming power of the gospel of the Kingdom in today’s Europe; and that we might show the same faith and courage as the Christians of the East a generation ago.